It will be a very gut Shabbes indeed! 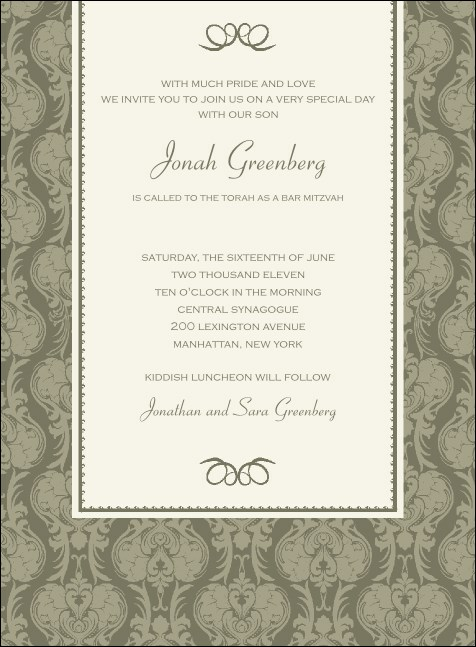 You and your family can experience all the mazel and naches you expect from your upcoming rite of passage, and the Bar Mitzvah Taupe Invitation is another tool you can use in advance of the big day to ensure that everyone you love is at the synagogue to witness your success. Send your message far and wide with Invitations from TicketPrinting.com.